Find funding with this targeted, accurate investor email list, full of information you need to make more personable business connections. Pulling from numerous companies and industries, this pre-made list contains those with the job title of investor. One of the most difficult parts of going into business in the first place is finding the right investor or funder. Email lists from Bookyourdata.com can help connect you with those powerful decision-makers. Today, even within a few minutes, you can download a directory full of hard-to-reach angel investors' contact information: direct emails, phone numbers, names, postal addresses, titles, and more! Shortly after downloading, you can pull the information into your CRM and start calling, emailing, or otherwise connecting with this lucrative group of investors! Email lists from Bookyourdata.com are human-verified, highly qualified, and at a much more affordable price than many of our competitors offer. We give you the tools to build stronger connections with the people who are important to your business. In this case, you can reach out to investors who decide whether or not to fund other businesses! This is the perfect tool for a well-recognized business looking to market their service or product or a new entrepreneur. Email list products can also be further narrowed with our customization feature, which allows you to build a list based on location, industry, function, or job level. 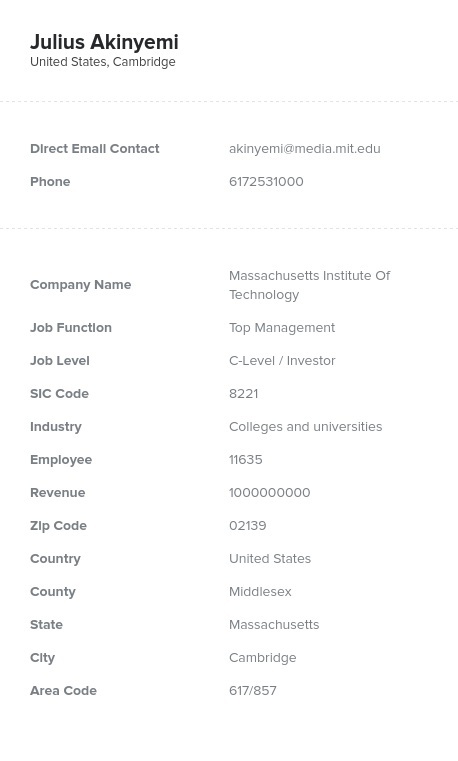 Create a customized list of potential backers, or just download this pre-made list to get started pulling investor contact information right away. Try it and get funding now!